The NAS aims to protect, promote and preserve allotments and we call on all those who value allotments to support us in this endeavour; we can all do our part and here are a few suggestions for collective action. 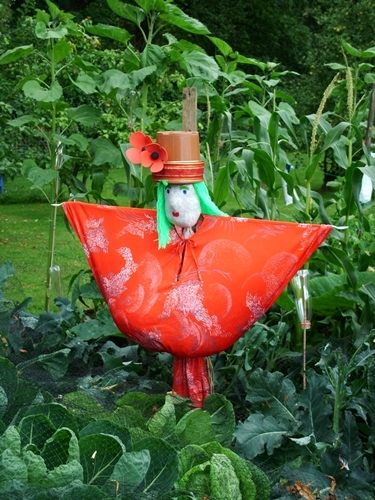 Form an Allotment Association and join the National Allotment Society Regional Network, a site with a strong association can help to protect local sites by keeping allotments in the public eye, lobbying councillors and MPs and making sure that the site is fully let and not neglected by the landowner. Self- management is not the answer for all sites but as well as helping to keep down rent costs it does put the association in charge of the waiting list so that plots aren’t left untended and a council feel justified in claiming that the site is not necessary. An association on site can also organise events and projects that help to gain the support of the local community. Monitor your Council's Health and Well Being Strategy; does it acknowledge the potential for the allotment service to support delivery of many of their Public Health targets? If not, lobby the elected representatives who sit on the Health and Well-being Board and ask them why. Allotments can contribute to aspirations to improve community nutrition, emotional resilience and healthy activity, especially for our ageing population. Ensure allotments are mentioned in the Local or Neighbourhood Plan, they are an opportunity for communities to influence what happens in their neighbourhood, this could benefit allotments if aspirations to protect or increase supply are built in to the document or it could be the point at which allotment land is identified as potential housing land or other development; which has happened recently in Brighton, where two sites, Craven Vale and Mile Oak are listed as having “potential for housing” in proposed changes to their City Plan. In theory the Localism Act put citizens in charge of local decisions; in practice it is not quite so simple but worth the effort. A fair bit of stamina is needed to engage with Local Planning, council websites contain reams of documents and you need to keep on your toes to avoid missing deadlines for consultation etcetera. However if a site comes up for disposal the National Planning Casework Unit will assess any contradictions between the council’s intention to dispose of allotment land and other council policies, particularly in local or neighbourhood plans. There are organisations that support local people to engage with local planning issues, Locality http://locality.org.uk/ are a national source of information and resources; other local groups such as WARD (Wharfedale and Airedale Review Development) aim to help communities make sense of the changes brought by the Localism Act, and to facilitate the collaboration of residents, local MP’s and Councillors in their successful implementation. Have a look to see what help is on offer in your area and make your voice heard! Register your site as an Asset of Community Value, If a site is registered, the registration listing lasts for five years. If during that time the owner wishes to sell the land, they must inform the council and the group (that requested the listing) of the planned sale. The group then has six weeks to confirm that it wishes to be treated as a potential bidder. If it does so, the group has six months to raise the finance. Click here for a list of some of the sites that have been listed as Assets of Community value. Click here to go to an article by the Ministry of Housing, Communities and Local Government (MHCLG) about community rights in relation to allotments. Campaigning, we need to get allotments on the agenda and influence the people who make decisions, so don’t wait till your site is under threat, invite your local MP and councillors to your NAW event or write to them. Tell the world if your site is in danger; take some lessons from the Craven Vale and Farm Terrace campaigners who have gained a lot of popular support by using twitter and facebook to great effect. Photograph "Happy in his Work" by Graeme Thompson, one of the NAS/Shield Photo Competition winners.